Have you or a loved one recently been in a car accident and suffered an injury? Then you’re probably looking into hiring a Lansing personal injury attorney. An attorney will work with you to give you the legal guidance you are looking for during your car accident injury lawsuit. Believe it or not, most people would like to do the right thing and compensate you for your injury. The decision is rarely up to them. Usually, it's the insurance company representing the other driver who decides. As is well known, car insurance companies do everything in their power to avoid paying you any compensation. They also do everything in their power to avoid offering a settlement. If they do offer a settlement, it is usually far less than what one of our personal injury lawyers could get. If you prefer a fair process to pursue your car accident injury claim, you have another option. You could file a personal injury lawsuit against the at-fault driver. Note that litigating a car accident case can be tricky. The laws and legal issues involved can be very complicated and difficult for the layperson. Consulting with one of our auto accident attorneys can help you better decide how to successfully manage your claim. Inform you of your legal rights. Help you understand your available options. The purpose of hiring a personal injury lawyer is to get the full and proper compensation that you deserve. Once you hire one of our aggressive attorneys, they will carry out certain tasks in preparation to litigate your case. Having your injuries examined by an expert physician. Looking for other evidentiary documents that will support your claim. Have attorney act as an intermediary between you and the opposing party for communications. In many instances, auto accident cases never make it to court. They end up negotiated and settled out-of-court between your personal injury attorney and the insurance company representing the other driver. A skilled car accident attorney seasoned in the art of negotiation is essential for either out-of-court or in-court settlement. In the end, if the aggrieved party doesn’t agree with an out-of-court settlement, the court can determine the amount that will be given to them. Your attorney will make sure you get the best deal so you’ll be able to pay medical bills and keep your household afloat after your injury. The Lansing personal injury lawyers at Foster & Harmon PC strive to help clients seek financial compensation following car accident injuries. 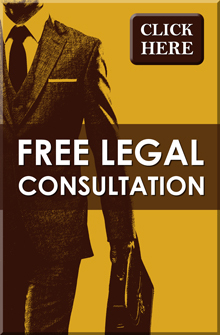 If you are interested in setting up a free legal consultation, give our attorneys a call at (517) 337-4600.